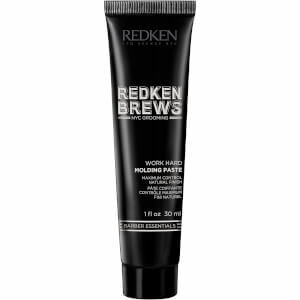 Add depth, dimension and volume to hair with the Thickening Pomade from Redken Brews, a line-up of barber-inspired, high-performance men’s grooming and styling essentials that feature malt-infused formulations. 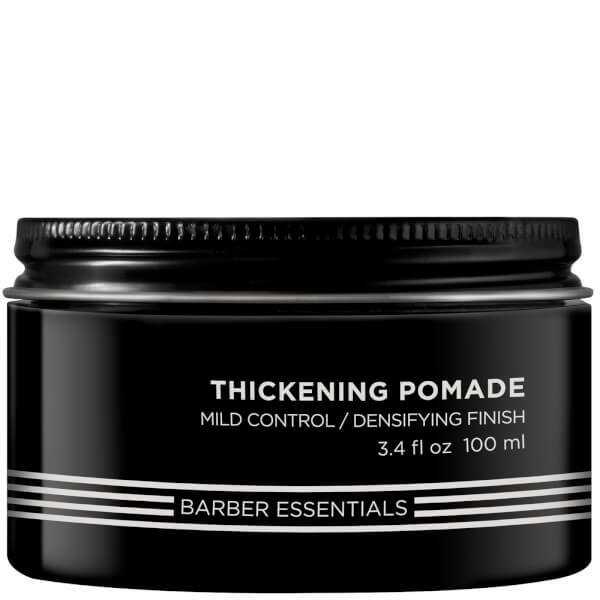 Perfect for fine hair, the densifying formula lends thickness and mass, lifting flat hair from the roots to create a fuller illusion and amplified body. Worked through damp or dry hair, the paste is your one-stop solution for styling thinning hair. Rub a small amount into hands and work through damp or dry hair. Smells great, doesn’t leave a sticky feel on your hands either, better than other thickening products I have used. Leaves a great matte finish. Bought for a friend- loved it! Bought this product for a friend for his birthday and he wears this every day- will definitely be back for more! 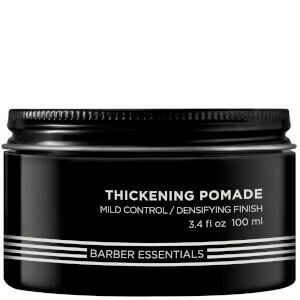 really enjoyed the dryness of this product, have a thicker feel and look to my hair! Really like using this product, it is very light in your hair but lasts all day and keeps shape very well. Great hold but kept hair feeling natural throughout the day, allowing for movement. And loved the smell! 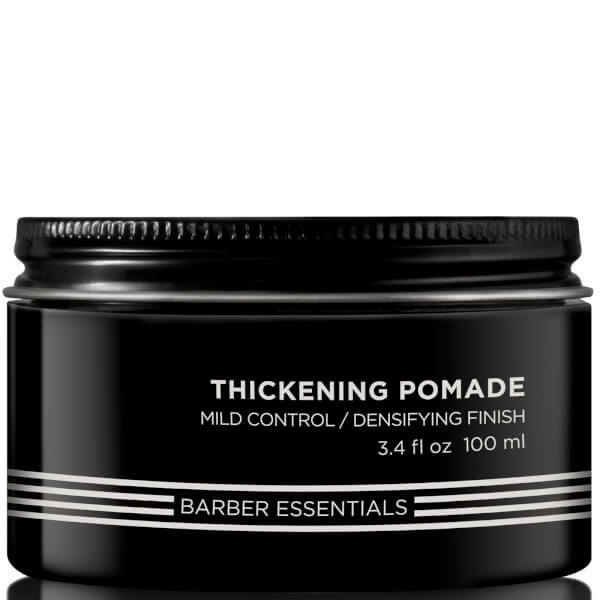 Bought this product for my dad who absolutely loves it and uses it every day, dare I say his hair looks much thicker as a result!